Experience the wild side of Namibia with this 11 day self drive safari! 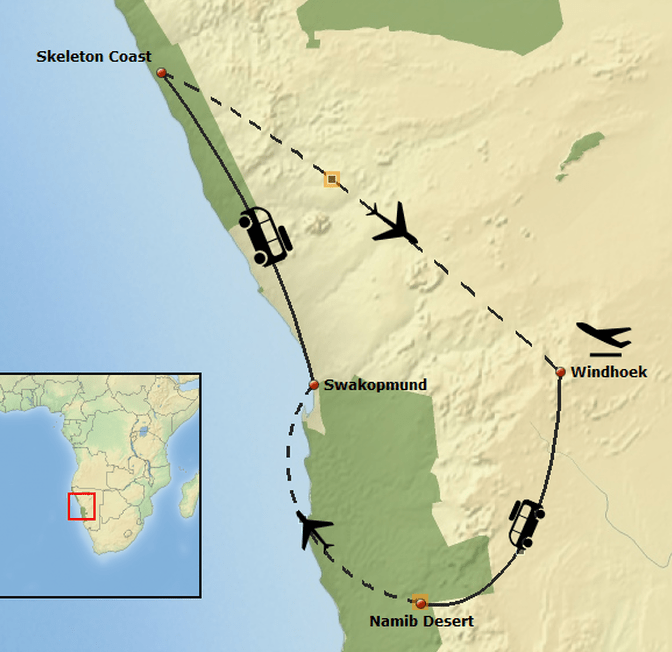 Perfect for wildlife lovers, this route gives plenty of time to savour Namibia’s incredible wilderness areas, unhurriedly and in detail. 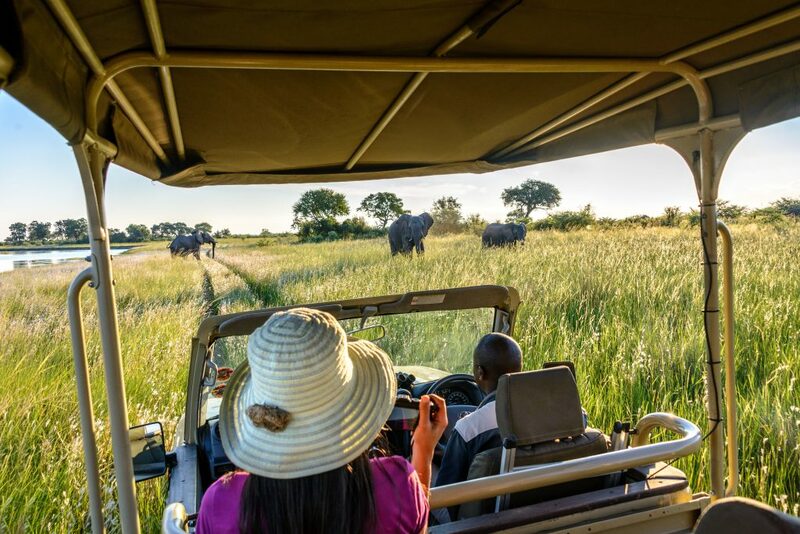 Explore Etosha National Park and the national parks in the Zambezi region, including a magical cruise on the Zambezi River spotting hippo and the countless bird species that call this lush region home. These two areas are vastly different and provide a well-rounded, wonderfully varied and exciting journey. Due to the distance between the Hakusembe River Lodge and Windhoek, we suggest that you book an additional night in Windhoek, scheduling your flight for the following day to ensure that flights are not missed. 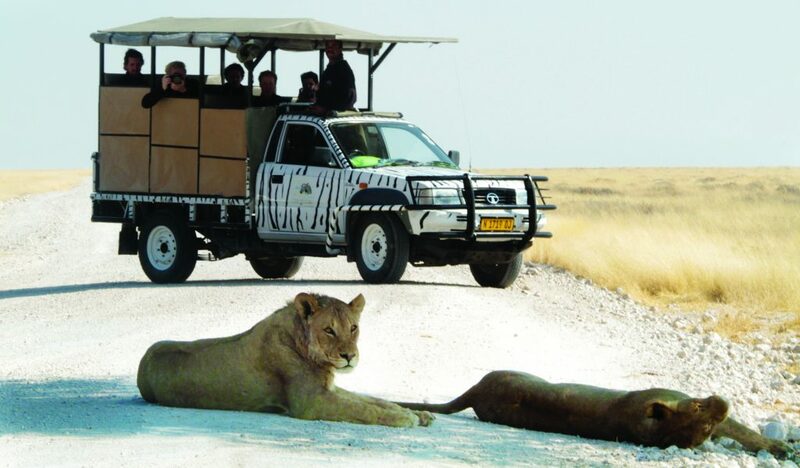 From Windhoek travel northwards, and enjoying lunch in Otji-warongo or Outjo before reaching your friendly and relaxed destination – Etosha Safari Camp. A highlight of the stay at Etosha Safari Camp is the Shebeen restaurant, modelled on Namibia’s ‘shebeens’ (informal township bars) of old, where people gathered to meet, have a drink and listen to music. The colourful and quirky restaurant has become a highlight on travellers’ itineraries. Enjoy a delicious dinner feast outdoors in warm weather, as you listen to the Etosha Boys strum their guitars and sing local melodies. 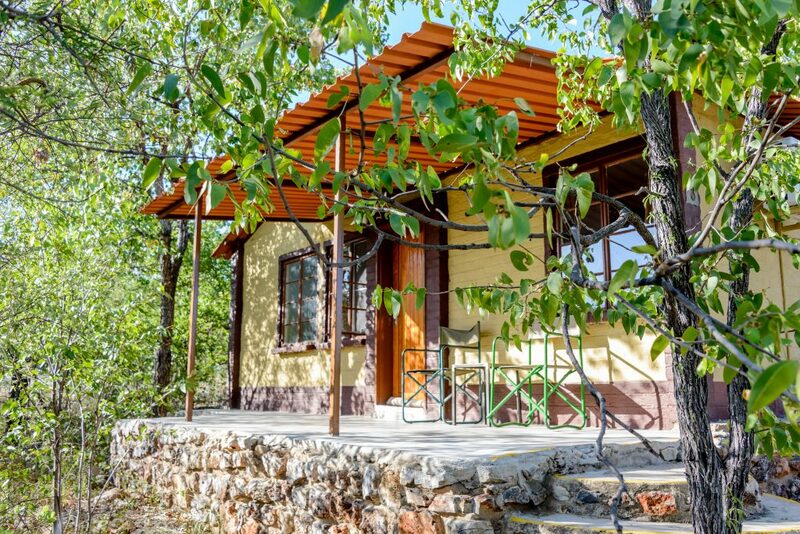 ​Situated on the outskirts of Etosha National Park, Etosha Safari Camp is the perfect base from which to explore this renowned wildlife sanctuary, with the option of lunchtime siestas in your chalet or around the poolside. Instead of rushing off to your next destination, enjoy the opportunity to explore the many waterholes throughout the Park in your own time. Don’t forget to visit the Okaukuejo waterhole, where there are often a variety of animal visitors, large and small. On day three pay one last visit to the Etosha National Park or spend the day relaxing at the camp. You can also enjoy a fantastic sunset at the Etosha Safari Lodge, as this will be your last sunset over the Etosha plains. 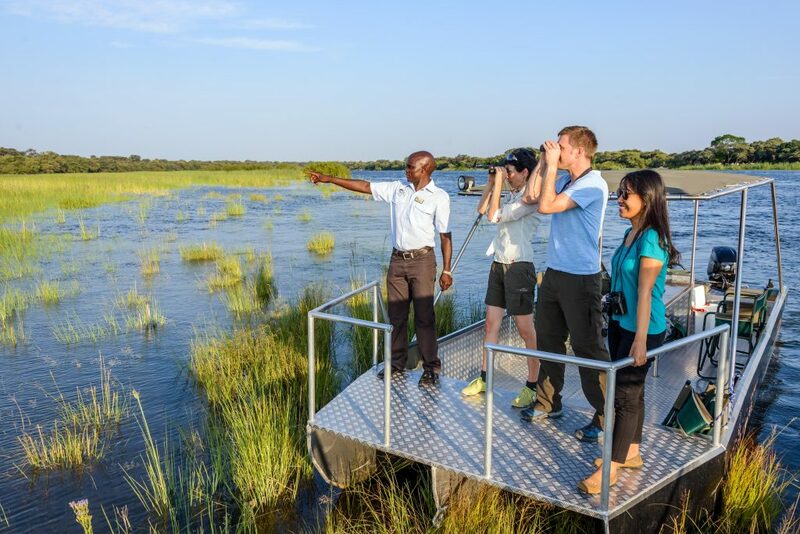 On day four you will head north east to the Hakusembe River Lodge along the Okavango River, stopping along the way to visit the Hoba Meteorites. 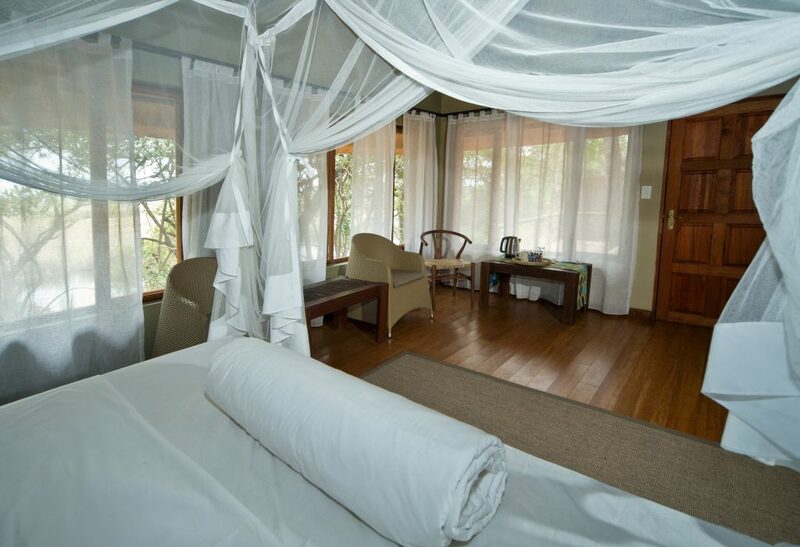 Once you reach the Hakusembe River Lodge you can settle in and relax for the evening. The lodge is a green oasis set alongside the Okavango River and provides a peaceful respite from a long day of driving. The drive today is eastward, towards the north-eastern corner of Namibia. Once known as the Caprivi, now renamed the Zambezi region, this area is a tree-filled expanse divided by waterways. It is also home to a fascinating group of people and an abundance of wildlife and birds. Bwabwata National Park runs from the Okavango River to the Kwando River and is home to both people and wildlife living side by side. Slow down as you pass through settlements and keep eyes open for elephant and wild dogs! 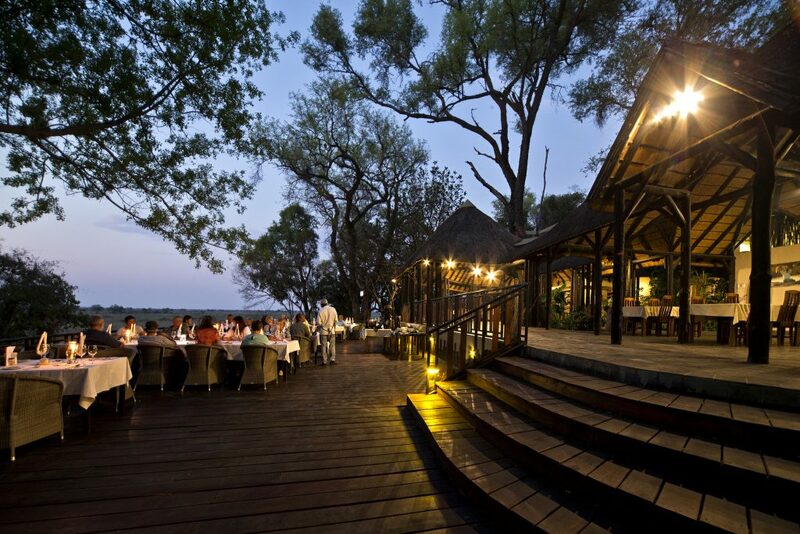 Your home for the next four nights is Namushasha River Lodge, a lodge of true Zambezi character. 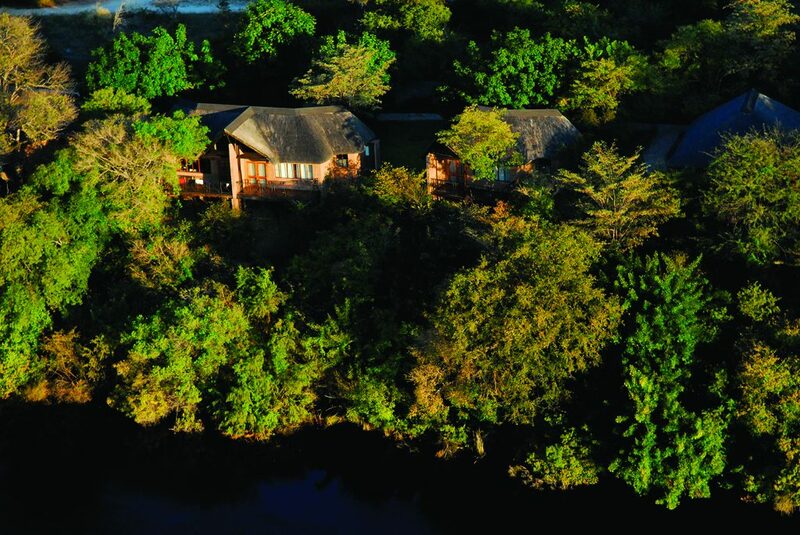 Set on the riverbank, the lodge is alive with the sound of hippos and birds and is an absolute wonderland! It is the perfect place to immerse yourself in the beauty of the area. The next three days provide the opportunity to experience the many riches this region has to offer. 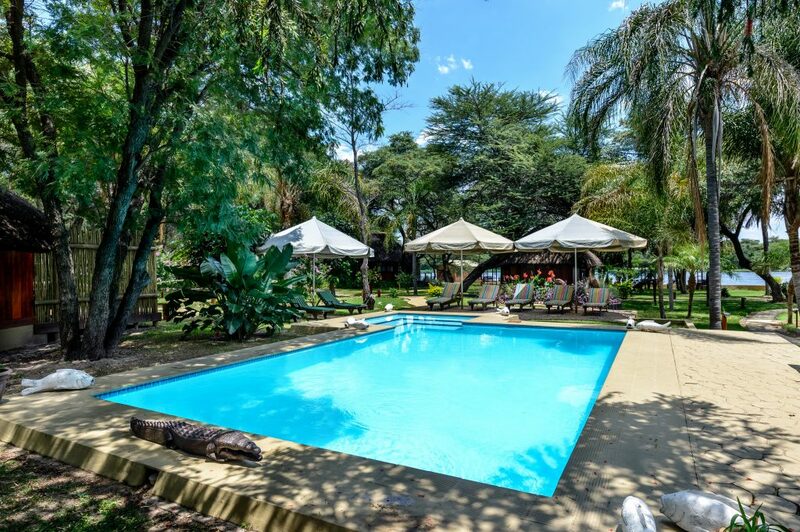 Take leisurely boat trips on the Kwando River and relish in the magic of this watery eden. Spot the abundant bird species, crocodiles sunning themselves on the banks, or pods of hippos amongst the waterlilies. A highlight is a guided trip into the Bwabwata National Park, beginning with a boat cruise on the Kwando River. Downriver, alight onto the river bank where a game-viewing vehicle awaits, and explore the national park. This includes a drive to the popular elephant-viewing spot at Horseshoe, an oxbow lake surrounded by Zambezi teak woodland. The afternoon is celebrated with drinks and snacks before heading back to the riverbank to board the boat as the sun begins to set. On day seven take a drive to Mudumu National Park, a good destination for a morning or afternoon expedition, or a day trip with a picnic lunch. Those comfortable with 4×4 driving should consider visiting Nkasa Rupara National Park, slightly further afield. Allocate a full day for this water-rich gem of a park, with stops along the way at the small Livingstone Museum, and at Sheshe Crafts to purchase the well-made baskets and woodwork of the Zambezi craftsmen. Mashi Crafts, a treasure house of crafts, is also worth a visit. And, for a touch of local culture, visit the Namushasha Heritage Centre, a short distance from the lodge, to learn about the intriguing culture of the Eastern Zambezi region. The Living Museum of the Mafwe, provides another opportunity for a cultural visit, when you have had your fill of animal viewing. On day nine we retrace our steps to overnight at the river oasis of Hakusembe River Lodge. Enjoy a relaxed evening and dine on the deck overlooking the river before a sound night’s sleep to the melody of the river. Day 10 is spent enjoying river activities and trips to the living museums in the area. Your last evening will be spent reflecting on your journey as you dine on the deck overlooking the river. Day 11 sees you make your way back to Windhoek to end your safari. You will need an early rise and breakfast packs for the road, as your journey to Windhoek will be an eight hour drive.